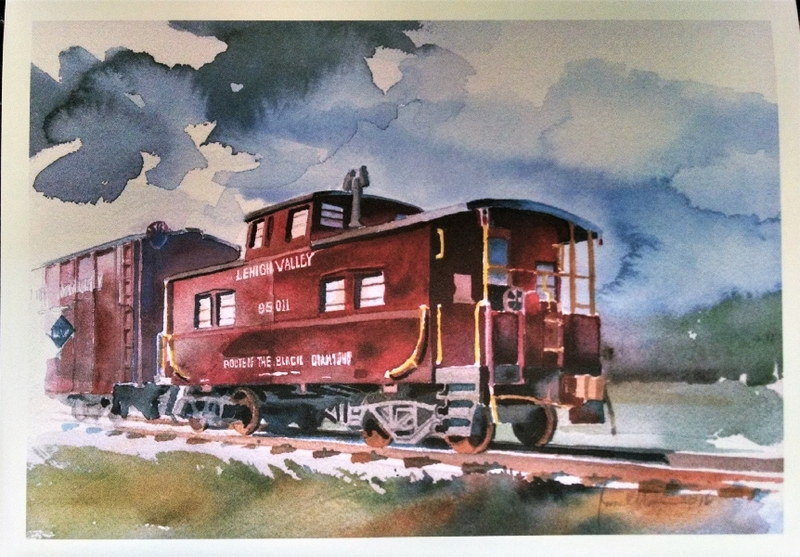 Print of Sayre,PA built Lehigh Valley Railroad Caboose by James Mann includes mailing envelope. Price $3.50 + tax .21. Total $3.71 plus $1.00 shipping and handling.